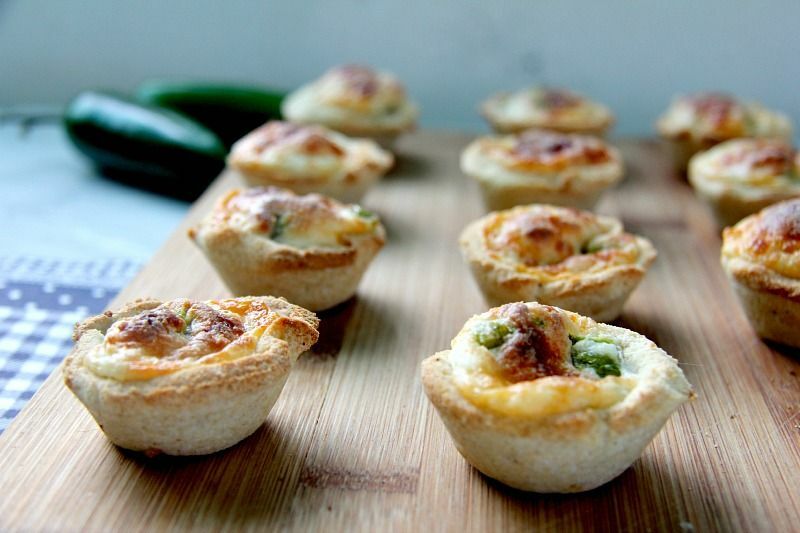 Jalapeno popper cups that are encased in a coconut flour and psyllium husk powder pastry. These little bites of spicy cream cheese make a delicious low carb snack. One Sunday afternoon, I was making my pizza bomb bites when I decided to make another plate of appetisers. 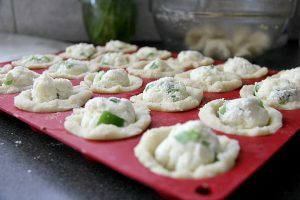 I had initially thought about simply replicating the pizza bomb bites but with a cream cheese and jalapeno filling. However, when it came to assembly I changed my mind and decided to keep the dough open so that they looked like mini quiches. 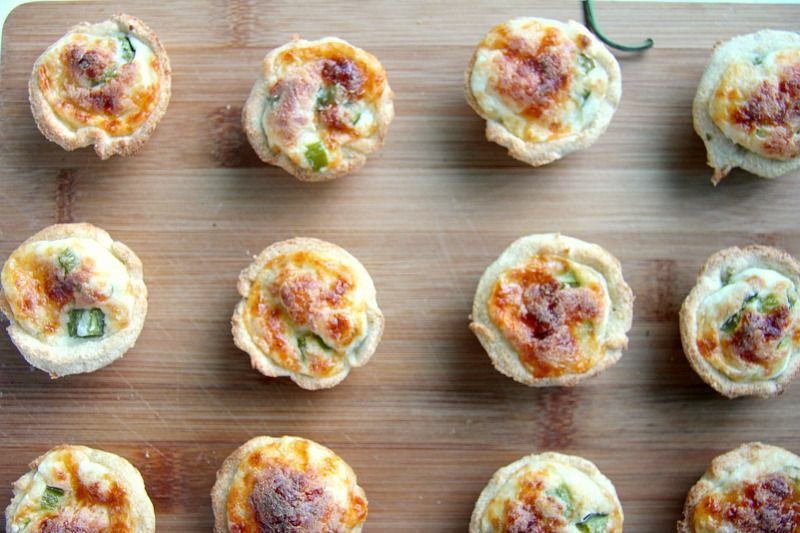 As the jalapeno popper cups were baking they rose like little cakes. However, once they cooled down to a normal height. I was rather hoping they would stay tall like mini towers. I’ve found that when you bake with cream cheese, it does rise and fall. 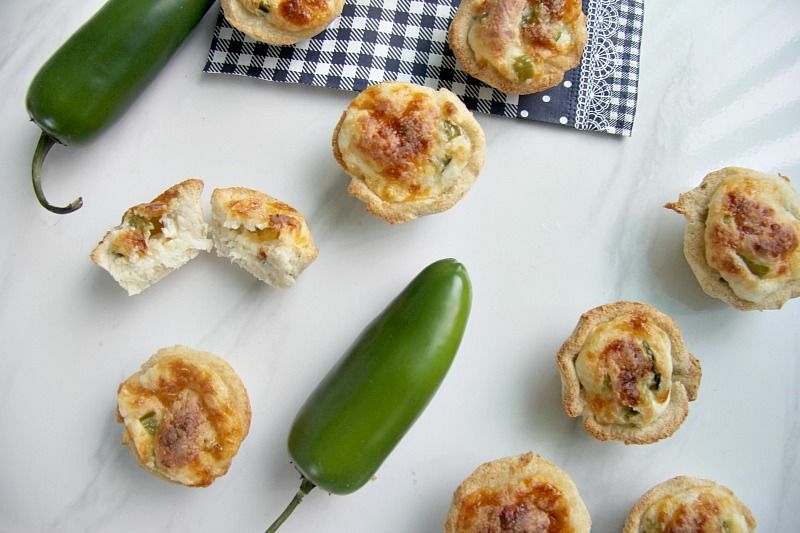 The flavour combination of jalapeno cream cheese is one of my favourites and I will turn to jalapeno stuffed with cream cheese for a spicy but creamy bite. 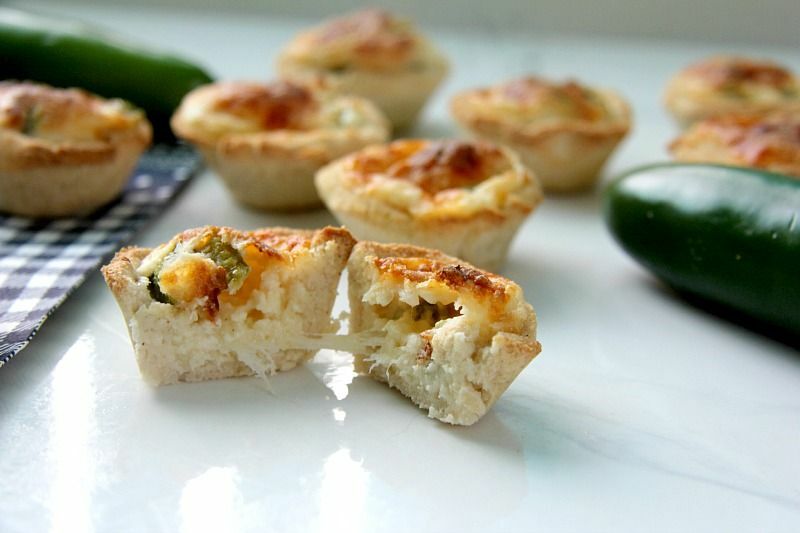 To make a change I thought that the combination of cheese and jalapeno would be delicious in a low carb pastry case. I was right. 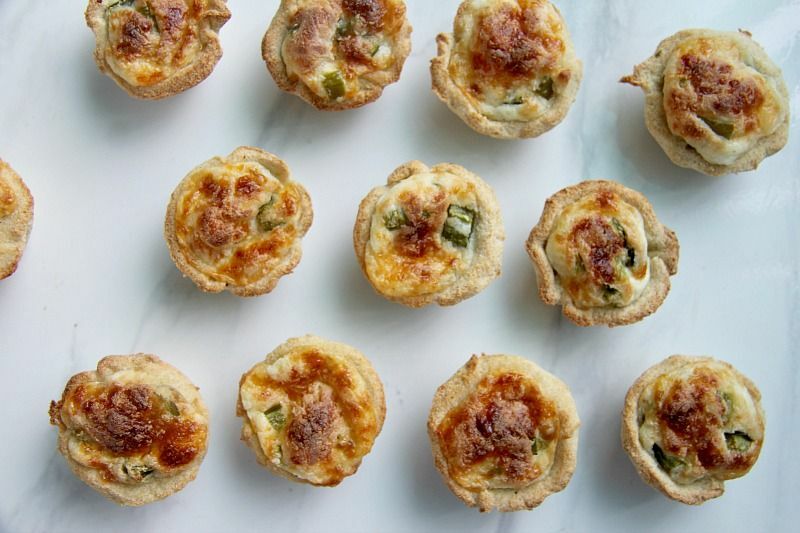 We fell upon these jalapeno popper cups like ravenous wolves. Then moaned as we had been eating a few pizza popper bites which were very filling. Adding more coconut flour and psyllium was probably not the best decision. It did save me having to cook dinner that night though! 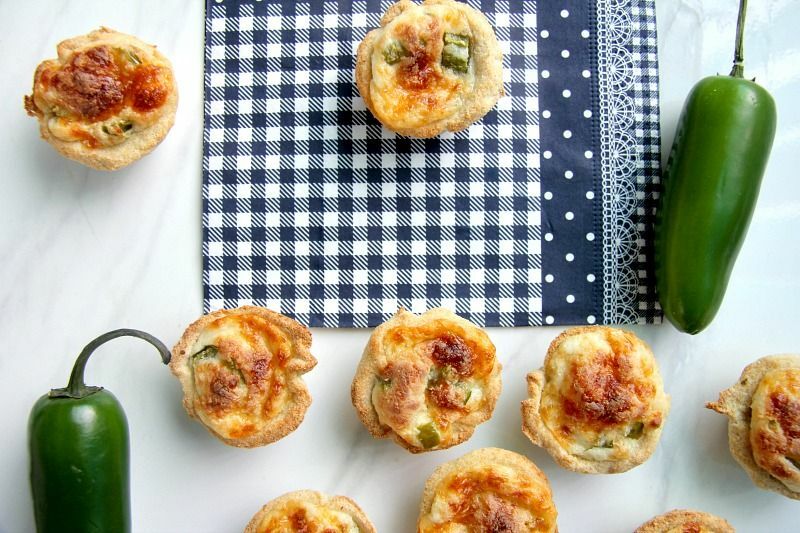 I used my mini muffin tray for these yummy jalapeno popper cups but you could bake them in a large muffin tray. If you do, bake them for about 5 minutes longer to ensure that the coconut flour pastry is cooked thoroughly. 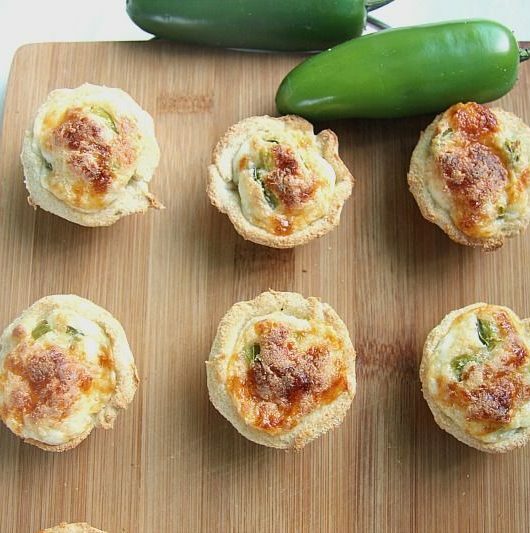 If you are a bacon fan, add a few chopped bites to the cheese filling for these jalapeno bites. Some chopped chives would be a bright colourful addition too. 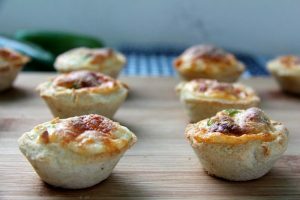 Whether you serve these jalapeno popper cups as a snack or an appetiser they are best served warm. I can testify that they make a nice breakfast snack the next day though! Cut out circles to cover the muffin tin spaces (I used a wine glass, but a large cookie cutter would do too). In a bowl, mix the softened cream cheese, jalapenos, Parmesan and Mozzarella cheese together. Spoon the cheese mixture into the dough cups. 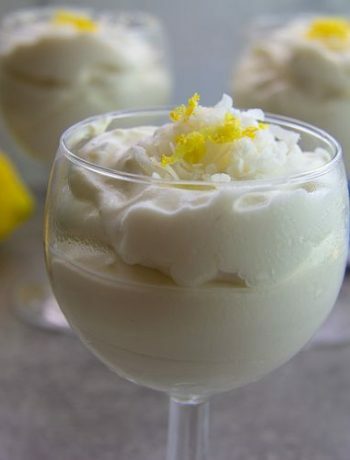 Hello~ Usually I wait until After I’ve Made The Recipe To Leave A Comment, However I Just HAD TO SAY HOW THRILLED I AM TO HAVE JUST DISCOVERED YOU TONIGHT! *My CAPS Are For Enthusiasm, not Really Shouting~ Well, perhaps a Bit From Excitement. I’ve been changing my eating habits but finding FUN & YUMMY Food is Really Difficult, like once you go healthy[ier] the variety diminishes! And Now, LOOK AT YOU! 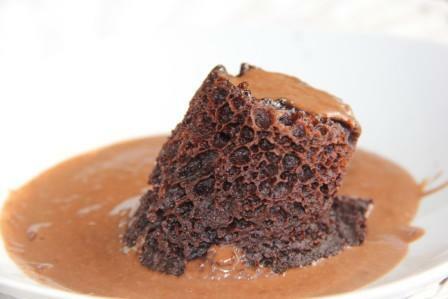 I’M IN £OVE… With Your Recipes! I’m so excited to make This And The £ovely Quiche Dishes~ Which I Will DEFINITELY Be Using A Regular Muffin Tin… Or I MAY Purrchase A JUMBO SIZE MUFFIN PAN! SO Wonderful To Make Your Acquaintance~ I’m KAT! Glad you found me! Hope you enjoy the recipes as much as we do!